Foreign Minister Liberman wants Serry evicted from Israel after he asked to transfer $20 million to Islamist terror group in Gaza. Foreign Minister Avigdor Liberman is demanding the eviction of UN Middle East envoy Robert Serry from Israel, on suspicion that he has been trying to assist Hamas. Liberman intends to declare Serry persona non grata, the most serious form of censure which a country can apply to foreign diplomats. Channel 2 reported that the Foreign Ministry has received information according to which Serry is attempting to transfer millions of dollars to Hamas. Serry reportedly asked Palestinian Authority head Mahmoud Abbas to transfer $20 million from Qatar to Gaza – a request Abbas turned down. He then asked Israel to be the middleman in the transfer, a request that, unsurprisingly, was also met with refusal. Finally, reported Channel 2, he offered that the UN take the money from Qatar and give it to Hamas. Liberman will bring the request to expel Serry to Prime Minister Binyamin Netanyahu Sunday, for his approval. Serry criticized Israel's large-scale operation in Judea and Samaria on Friday. 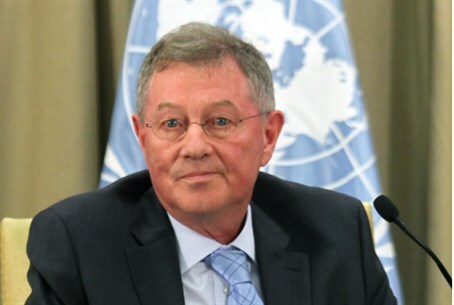 While Serry called for the release of the three teenagers abducted by Hamas, he expressed “deep concern” over Israel’s arrest of wanted terrorists. “The United Nations understands that these security operations and tightened restrictions on movement throughout and in and out of the West Bank are part of all possible efforts by Israel to bring the three youths home safely. We continue to call for their immediate release,” Serry said in a statement. “The Special Coordinator is concerned that without restraint from all sides in these dramatic circumstances, it will become even more difficult to address an already critical security situation on the ground,” he added.